Dr Carlos Puig: The Physicians’ Hair Restoration Centre, Houston, TX, USA. Dr Puig is a recognised leader in the field and was the founding Member of the International Society of Hair Restoration Surgery. 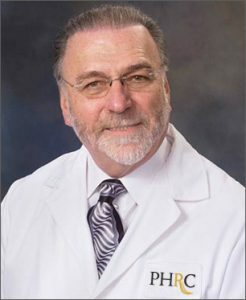 He has been carrying out Hair Restoration Surgery for nearly 25 years and has trained many physicians in hair restoration surgery, both in his internationally recognized Fellowship Training Program and at medical seminars, workshops, and surgical demonstrations. 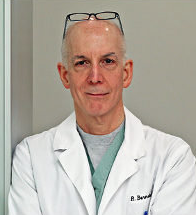 Dr Robert M Bernstein: Bernstein Medical – Center for Hair Restoration. New York, NY, USA. Dr Bernstein is a ClinicalProfessor of Dermatology at Columbia University in New York and a world renowned hair transplant surgeon. Dr. Bernstein is recognised for contributing to the development of Follicular Unit Transplantation (FUT) and Follicular Unit Extraction (FUE), the procedures that revolutionised the field of surgical hair restoration. Dr Bernstein is a recipient of the Platinum Follicle Award, the highest honour awarded by the International Society of Hair Restoration Surgery (ISHRS), for his outstanding achievement in the scientific and clinical research of hair transplantation. He has been honoured as ‘Pioneer of the Month’ and ‘Surgeon of the Month’ in Hair Transplant Forum International, the journal of the ISHRS. Dr Bernstein is respected for his keen aesthetic sense, exceptional surgical skills, and honesty regarding his patients’ best course of treatment.